Since starting our business in 1971, we have been a top choice for water-related needs like softeners and water filtration systems in Ottawa and surrounding areas. 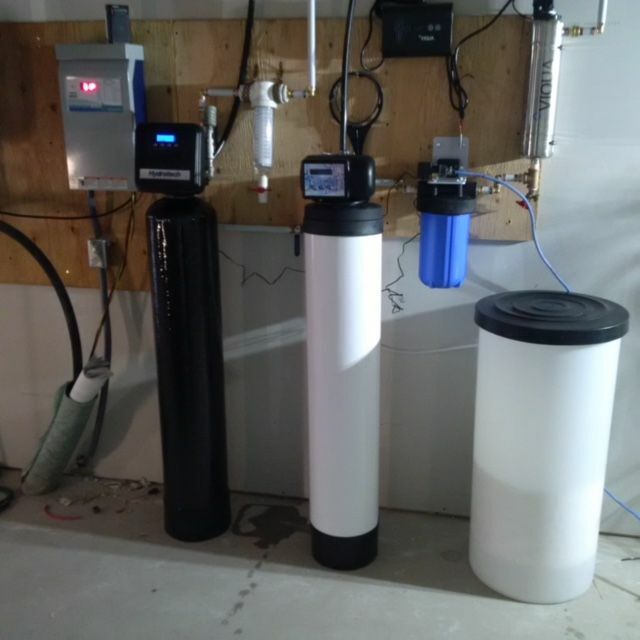 Here at The Water Purifiner, we have a unique understanding of the needs of our neighbours. We carry quality products from manufacturers like Erie™ Water Treatment Controls from Purifiner®, Hydrotech and more. Our technician provides excellent service with complete warranty work on most water equipment. We also provide warranty parts and warranty labour without travel charges, however some exceptions do apply. 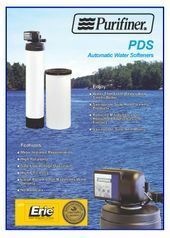 Using the newest micro-processor technology, PDS softeners will provide you with regular and reliable softened water in your home. Your water will be easy to work with at your home or workplace. 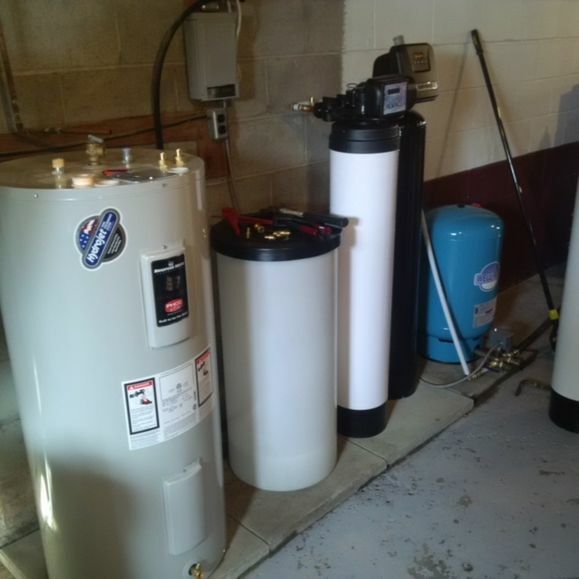 In short, water softeners use what’s called an ion exchange system. Calcium and magnesium are hardness ions and are exchanged for salt ions. 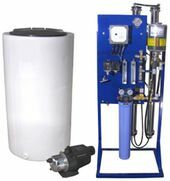 In the water softener’s resin tank, water flows through, coming in contact with small resin beads (media) which are covered with salt ions. While the water flows throughout the resin beads, hardness ions swap places with the salt ions. As larger volumes of water are softened, the resin becomes exhausted and will eventually contain nothing but hardness ions. The resin is then recharged by salt or potassium water found in the brine tank. Recharging works basically the same as softening, but in reverse. The hardness ions will begin to change places with the salt ions in the brine tank and the excess minerals will be rinsed as wastewater into the drain. 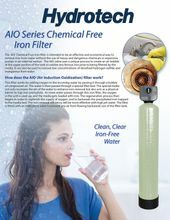 The AIO Chemical Free Iron filter is intended to be an effective and economical way to remove iron from water without the use of messy and dangerous chemicals or expensive pumps or an external venturi. The AIO valve uses a unique process to create an air bubble at the upper portion of the tank to oxidize any ferrous iron prior to being filtered by the media. It can also be used to remove low concentrations of dissolved hydrogen sulfide and manganese from water. This will remove bacteria, viruses, algae, mould and even protozoa such as Cryptosporidium and Giardia lamblia. 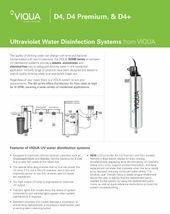 These types of ultraviolet disinfection systems are perfect for point of use filtration. The hard glass germicidal lamps will economically treat water with a 99.99% reduction of bacteria, viruses and other contaminants. This process is accomplished without adding any harmful chemicals to your water. In this system, incoming water passes through a compressed pocket of air that is held in the tank. As the oxygen precipitates the iron into solid form it is removed as it passes through the media bed of the filter. The birm then will act as a catalyst in the reaction between iron and oxygen which will also cause the iron to precipitate into a solid. The air injected iron filters will then use the oxygen to oxidize the iron and manganese. The air injection filters use a type of vent to induce air in front of the existing pressure tank. As the oxygen is induced into the water line and then the pressure tank for contact time, the iron and manganese will be oxidized. The filter will remove the oxidized iron and manganese. These types of air injection filters are also very effective in the removal of hydrogen sulphide gas. More water will continue to pass through the unit and the air will become depleted, leaving the birm to become overloaded with the iron. The periodic automatic regeneration will replenish the supply of air and cleans the media of filtered iron. The birm is not consumed in the iron removal process meaning it is very economical when compared to other iron removal processes. 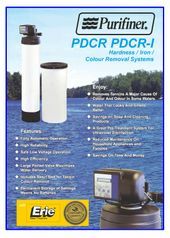 PDTR/PTTR tannin lignin removal filters will help to remove the yellow colour from water caused by Tannins. As a natural organic material that is the by-product of the natural fermentation process, Tannins are created when water passes through peaty soil and decaying vegetation. This faint yellow to tea-like colour can causes stains on fabrics, fixtures, china and laundry. 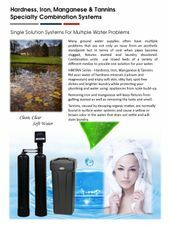 This system will remove hardness minerals from your water so you can enjoy soft skin, silky hair, spot free dishes and brighter laundry while at the same time protecting your plumbing and other water-using appliances from scale build-up. By removing iron and manganese from your water, you will help keep fixtures from getting stained and remove the unwanted taste and smell. Tannins, which are caused by decaying organic matter, can be normally found in surface water systems and can causes a yellow or brown colour in the water. It will not settle and will stain your laundry. 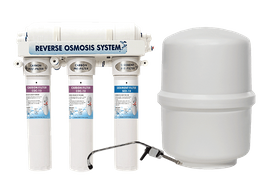 Reverse Osmosis Drinking Water Systems are among the most popular choices for homeowners wanting high quality water without the hassle and environmental impact of bottled water. 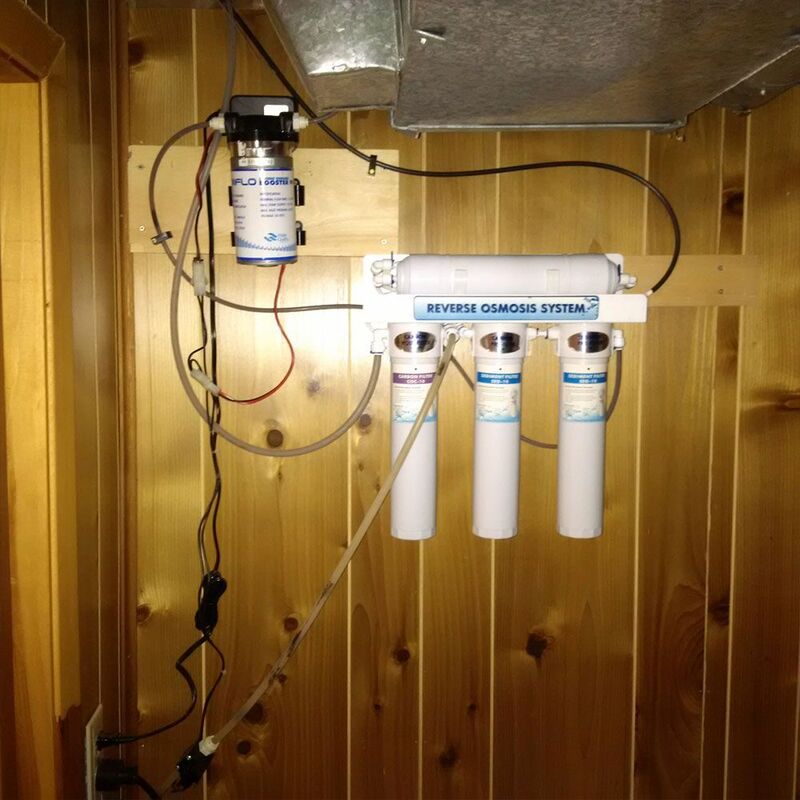 This compact system is installed under your kitchen sink or the basement and will provide you with clean, great tasting water directly to a faucet at your kitchen sink. 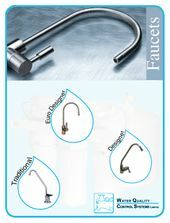 These systems come with a standard faucet but you may choose a designer faucet that matches your décor. 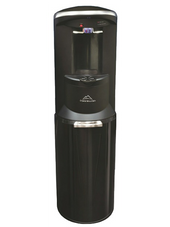 Crystal Mountain’s newly introduced Storm point of use water dispenser follows the successful introduction of its counterpart, the Storm Bottom-Load water dispenser. Featuring an easy to remove reservoir system, the Storm point of use water dispenser now takes less than a minute to change. And an LED indicator will alert you when it needs to be replaced, so servicing has never been easier! It boasts a contemporary design, attractive finish, concealed faucets and maintenance made easy, the Storm will thrive in any environment. Other varieties are available. Choose from options such as traditional and euro-design and finishes like chrome, brass and more. 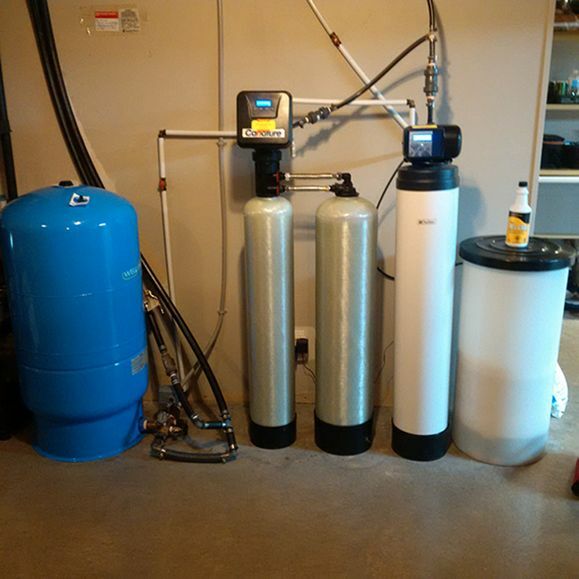 Designed to give the customer sparkling water throughout their home, these systems will remove nearly all contaminants that make your water aesthetically displeasing. They can even be used when other treatment methods are unsuccessful. 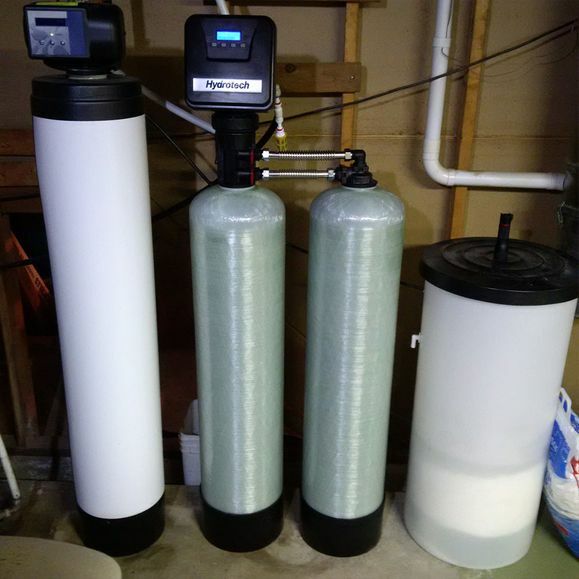 Nano-Filtration and Reverse Osmosis provide filtration at the molecular level which allows them to filter out hardness, iron, tannins and other contaminants that conventional filtration cannot remove. 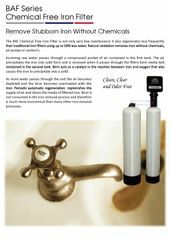 This technology provides a very pure product without the need for more cumbersome and invasive methods such as chlorination and sedimentation. 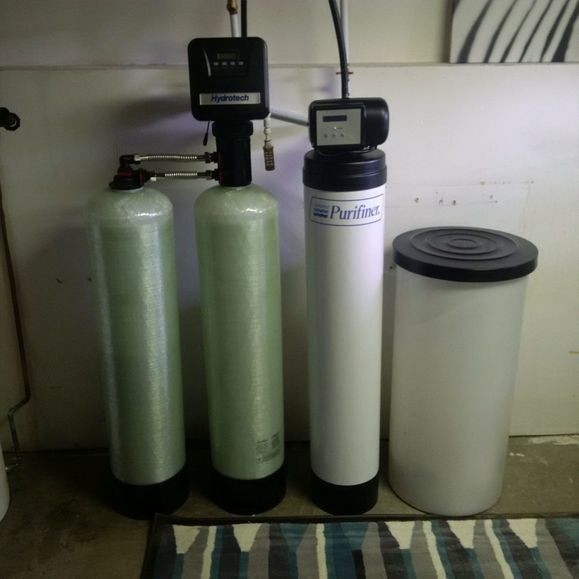 Ready to see what The Water Purifiner can do for the water quality at your home or business? Contact us today to learn more.